Our South East London cleaning company is all you need for a cleaner home or office! More and more people are reaping the benefits of hiring a professional cleaner or cleaning team for their domestic or office cleaning needs. It isn’t always easy to find the time and the motivation to get your home or office looking and feeling sparklingly clean, especially if you’d rather be spending your precious time with your family or with your work obligations! Hiring a professional cleaning company is a fantastic way to make sure that you don’t ever have to worry about your household chores again, and you won’t be able to find a South East London cleaning company that’s more professional or efficient than ours! 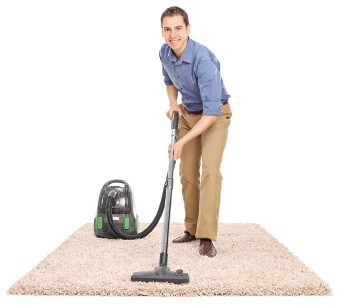 At Clean Carpets we can tackle all of your cleaning jobs, whether you’re looking for carpet cleaners, upholstery cleaners, office cleaners, end-of-tenancy cleaners or even just a domestic cleaner for your home, our company has a fantastic range of affordable services that isn’t going to cost you the earth. If you live in South East London and you want the best cleaning company for your home or office then why not give our company a call today? Speak to one of our professional team on 020 3397 8287 for all of your cleaning needs! South East London is made up of the following boroughs: Bexley, Bromley, Greenwich, Lewisham and Southwark. The area is one of great historical importance, with Greenwich being famous for its maritime connections and Lewisham being known for its docks. South East London isn’t an area of London that is well-served by the Underground though it is served by the Northern and Jubilee lines. The easiest and most popular way to travel is instead by railway. London Bridge is considered to be a main terminus for most of the rail services in South East London. To compensate for its lack of accessibility by tube, the entirety of South East London is well-served by a great variety of buses, some of which run at all of hours of the night for those who like to stay up late! There are some fantastic places to visit and see in South East London, including the Imperial War Museum which is located in Southwark as well as Eltham Palace and The National Maritime Museum, both found in Greenwich. South East London is a trendy and popular place in which to live, with a population of approximately 1.3 million people. Keeping your home and office clean, tidy and stain-free isn’t something that’s easy or fun to do, which is why our company is a great option for you if you simply can’t face your domestic chores! Our South East London cleaning company is the best in the business – we’re more than well equipped to tackle your home or office, whether you’re looking for stain-free curtains, a deep and thorough carpet clean or even if you’re looking for affordable and reliable office cleaning, our company has everything you need and more for the clean and hygienic lifestyle you deserve! Our prices are some of the most competitive and affordable in South East London, making us a popular and reliable choice for many families and businesses in the area. If you want the absolute best level of cleaning service imaginable then you’ll find it with Clean Carpets. For a fantastic cleaning service that isn’t going to break the bank, give our company a call today on 020 3397 8287.